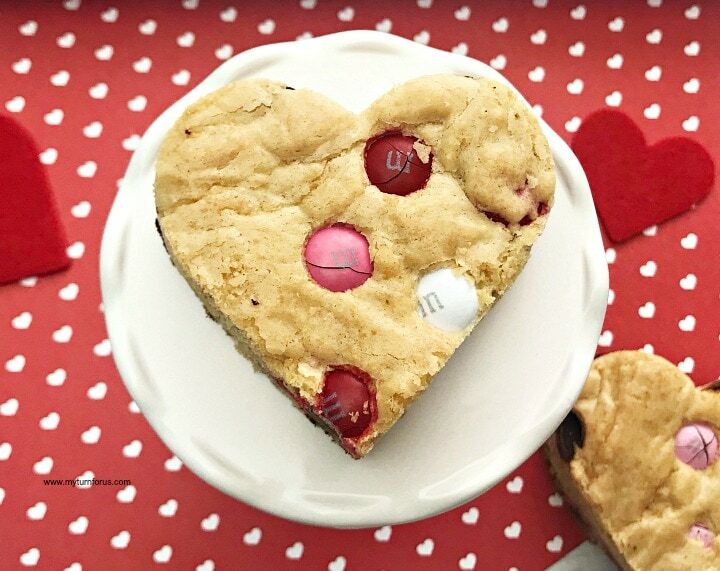 Make Valentine’s Day Chocolate Chip cookies with this heart-shaped cookies recipe. 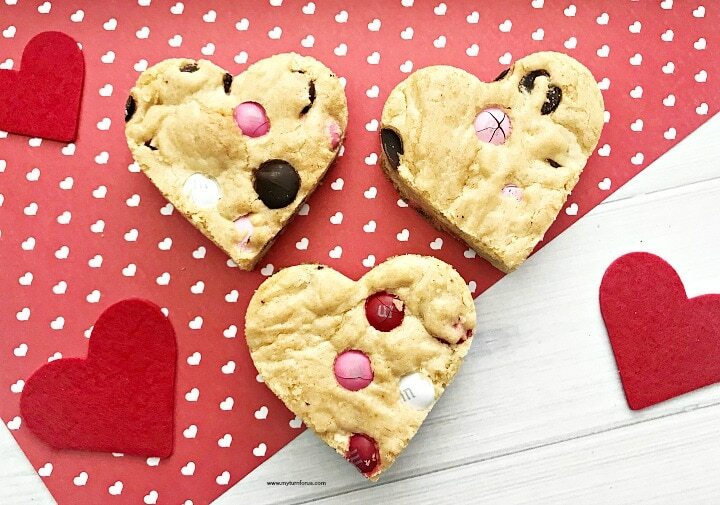 We made these Heart chocolate chip cookies from a bar cookie recipe, and we used a heart shaped cutter to make the easiest heart-shaped chocolate chip cookies. This is a very easy recipe for heart-shaped chocolate chip cookies. We cheated a little and made a bar mix and cut the cookies into heart shapes to make these cute Valentine’s Day Chocolate Chip Cookies. 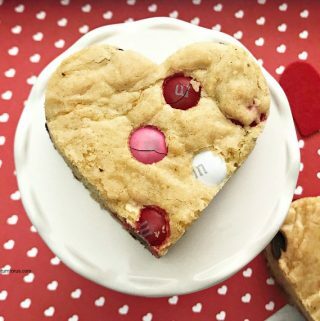 These easy heart-shaped cookies are delicious and loaded with red, pink and white chocolate M & M’s and chocolate chips. These Heart chocolate chip cookies are great for gifts or as a snack for Valentine parties. 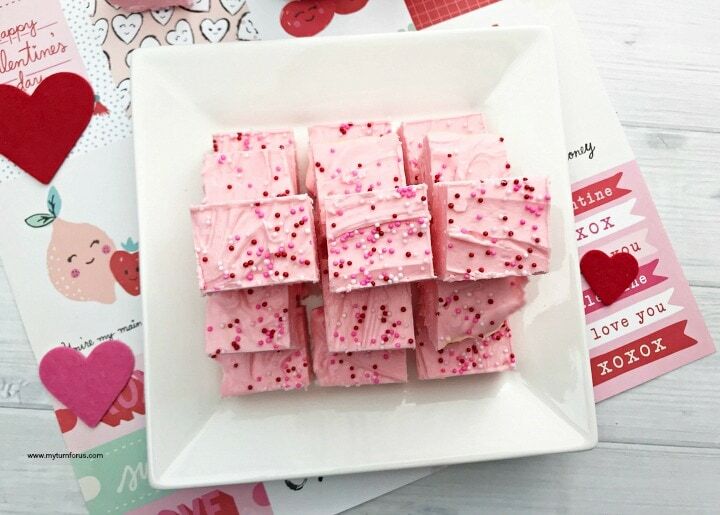 And you could use these little gift boxes to package your Heart cookies for your special Sweethearts. This post contains affiliate links which means if you make a purchase we might receive a small commission at no extra cost to you. 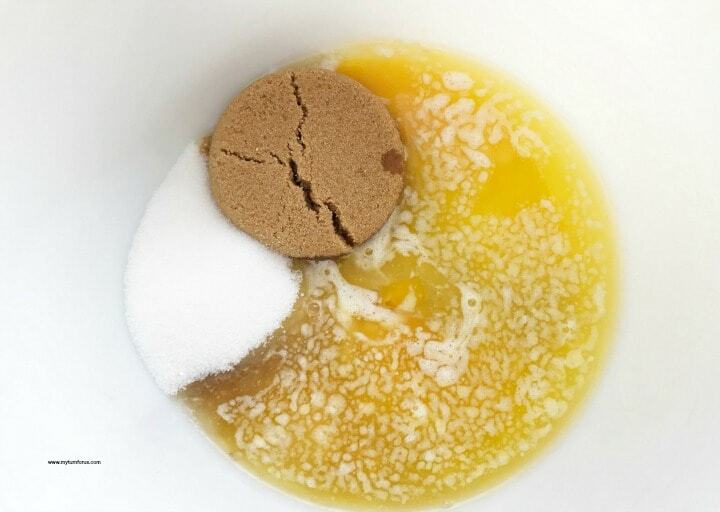 Start your easy heart-shaped cookies recipe by adding melted butter, brown sugar, white sugar, eggs and vanilla extract to a large mixing bowl. Mix well. 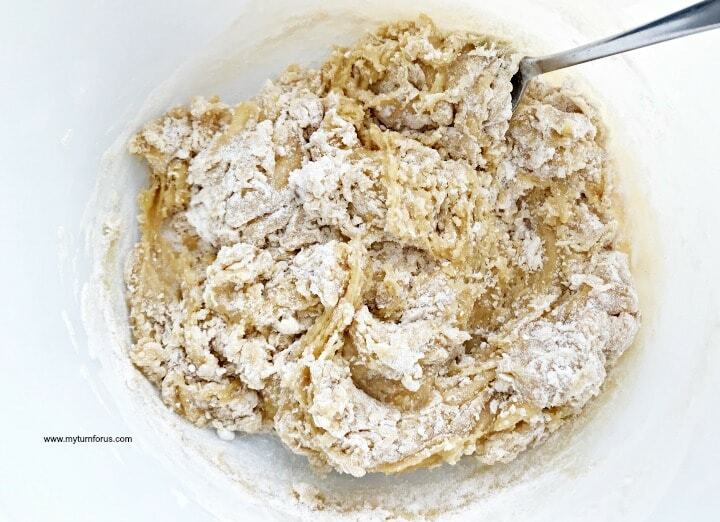 Slowly add in flour and baking powder and mix to until well combined. 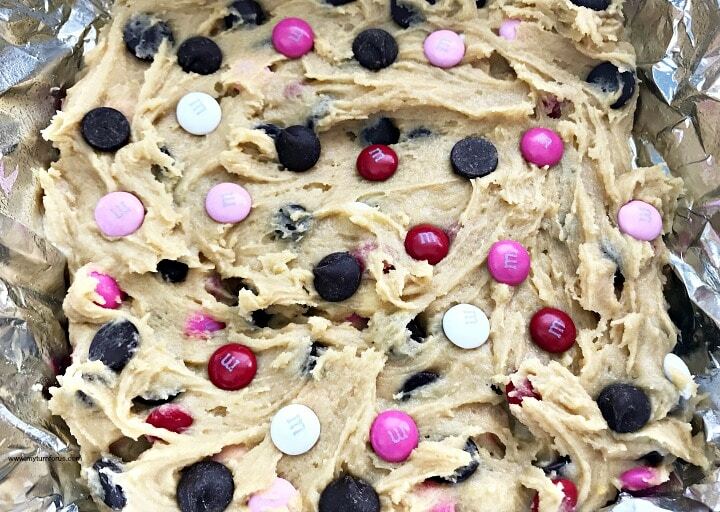 Pour in 1/4 cup of chocolate chips and 1/4 cup of Valentine M & M’s and gently stir to distribute throughout the cookie dough. Line a 9 X 9 pan with foil and spray with a non-stick cooking spray. Pour dough into the pan and spread evenly. Top with additional M&M’s and chocolate chips. Bake for 25-30 minutes in a preheated oven. Remove from oven and place pan on cooling racks. 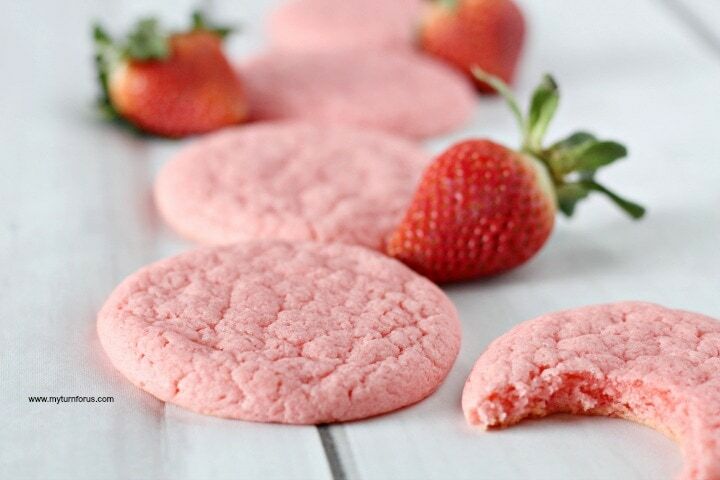 Let these cookies cool completely before removing from pan. When cool gently lift them out of the pan using the foil. I am using a heart-shaped cookie cutter to cut out hearts as close together as possible. To get the most heart-shaped chocolate chip cookies, alternate the cutter up and down and cut as close as possible. 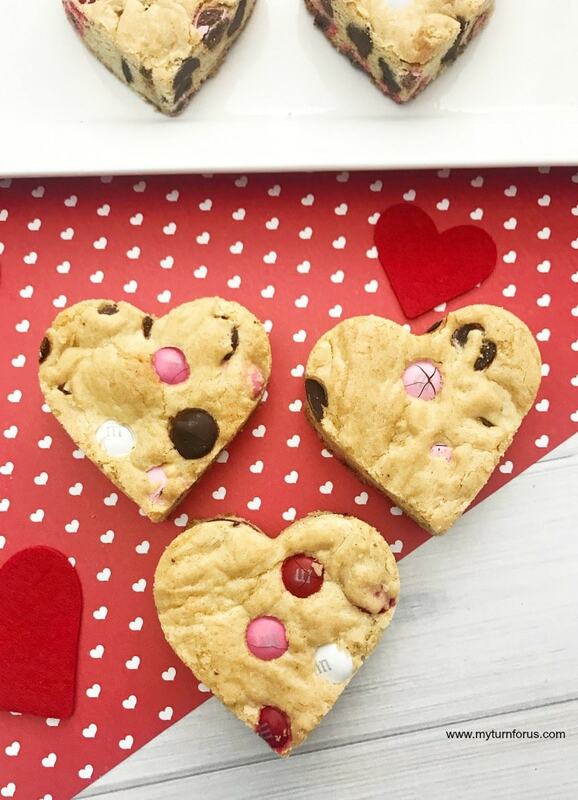 This easy heart-shaped cookies recipe makes approximately 6 Heart chocolate chip cookies. Valentine’s Day Chocolate Chip Cookies would make a pretty presentation for parties or place in little gift boxes for those special Valentines in your life. 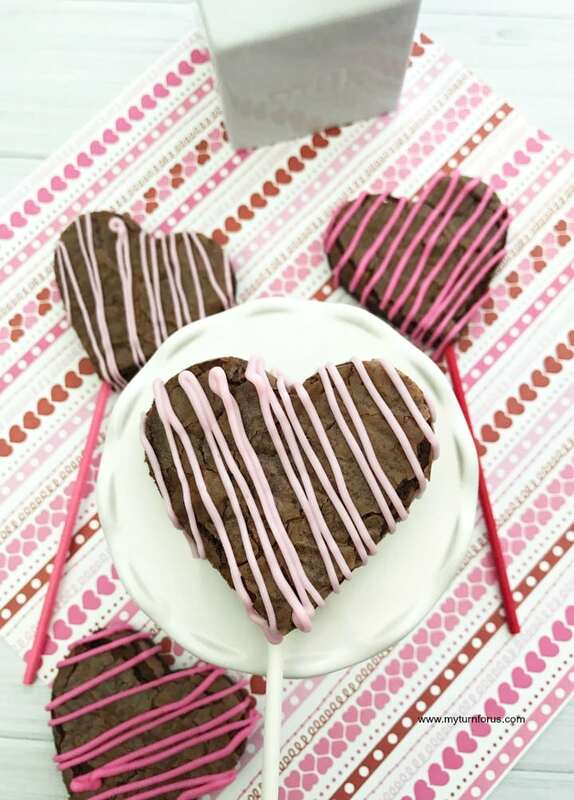 We hope you enjoyed not only making this easy heart-shaped cookies recipe, but you will enjoy eating these heart cookies. 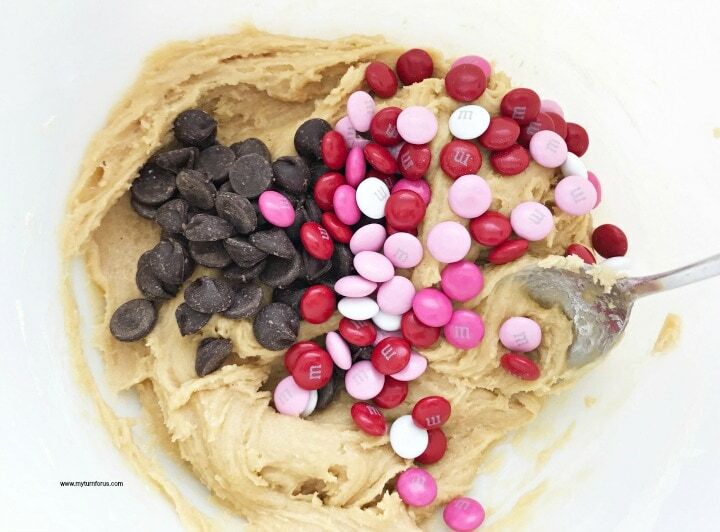 Make Valentine’s Day Chocolate Chip cookies with this heart-shaped cookies recipe. These Heart chocolate chip cookies are made from a bar cookie recipe and make the easiest heart-shaped chocolate chip cookies.